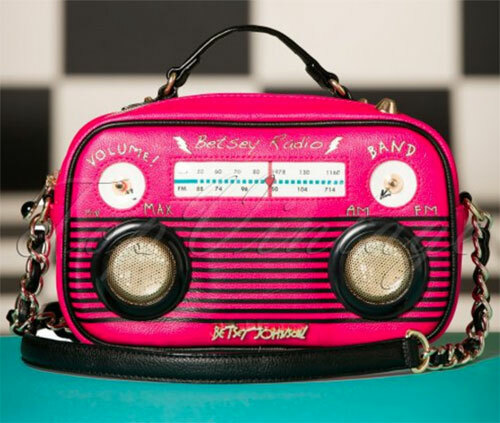 It’s an eye-catching bag and not only that, the Turn On The Music Radio Bag by Betsey Johnson also has a rather cool added feature too. 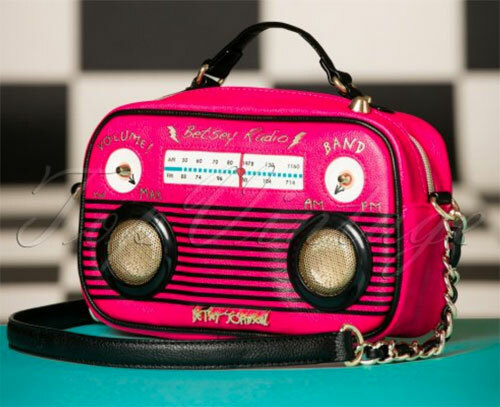 The bag itself is worth talking about simply for its look, which is based around a vintage radio and in a rather bold shade of pink. Love the chunky strap and gold details too, as well as the floral lining. And not just details. 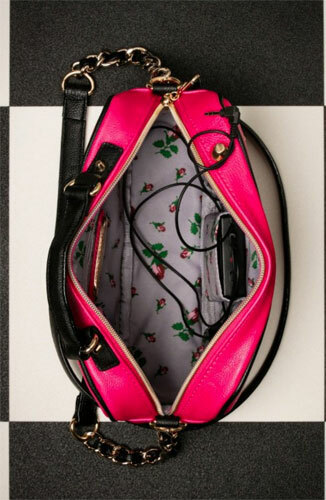 The killer feature of this bag is those speakers, which hook up to your mobile phone and play actually play the music on there. Neat! 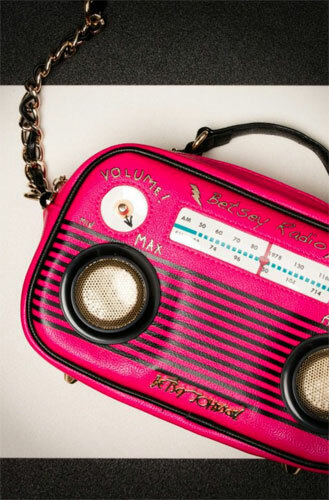 It’s a limited edition and is available at Top Vintage right now. If you want one, it sells for €109.95 (approximately £92.54).